Before I came into Canterbury Law Limited, I was nervous as to how I would do for the day. As soon as I walked through the door, I was greeted with a warm smile by everybody. Everybody was very kind and I felt like I fit right in. I started off my morning by going to the Magistrate’s Court and sitting in on a public trial. It opened my eyes and I thoroughly enjoyed it. I returned to the office and got insight on what everybody here does in their day. Having this opportunity opened my eyes that being a lawyer is a lot more than going to court. A lot of what being a lawyer is, is the behind the scenes work. After today I am almost positive, I want to pursue a career in law. It was a privilege to learn and be advised by the staff here at Canterbury Law. Everybody here is hardworking and very kind. I am honoured I got to spend the day with them and hope to return again some day for a summer job. My experience at Canterbury Law has been rewarding and beneficial to my professional development. I came to Canterbury with a general interest in law and hoped to learn more about legal practices and the day-to-day operations that occur within a law firm. The three (3) months spent working for the company was everything I had hoped for and more. Following my initial training I was promptly assigned to start working on current, real life cases. The job provided me with substantial amounts of exposure to real life situations. Cases and assignments were more than just work on paper, they gave me a feeling of fulfillment, knowing that the work I have completed will be used to help real people I was meeting. During my short time spent with the firm, I worked on a vast array of cases and assignments, such as: personal injury cases, a case regarding medical malpractice and negligence, property disputes, labour advice, legal advice, employment matters, wrongful dismissal cases, constructive dismissal cases, dismissal for serious misconduct, and charity laws. No two tasks felt the same even though they would pertain to similar situations. I was never stuck in a chair twiddling my thumbs; the work was constant and provided me with a satisfying challenge. I drafted and amended many legal documents consisting of: summons for directions, lease agreements, employee contracts, settlement and release agreements, statements of claim, and witness statements. All feedback I received from Juliana, Olga, Jules, and Paul was helpful and insightful. Juliana made sure to include me in every possible case or discussion that she dealt with, always inviting me to sit in on client calls and meetings for further experience in order to gain a better understanding of the level of work involved in this field. By working directly with Juliana and shadowing many of her cases, I was able to provide assistance and contributions to the Firm. Whilst the majority of my assignments were completed by me alone, there was never a time where a door wasn’t open for a discussion or assistance with any of the staff. The overall environment of the office was positive and welcoming. Even during times of high-stress which required a lot of hard work and dedication, the staff would work together and pull through as one cohesive unit. Another beneficial experience from working at Canterbury Law was working with the staff members to help organize and host their monthly community action initiative, the “Grateful Bread” which is an event where they provide food, clothing, and toiletries for Bermuda’s low-income residents and others in need. Working with Canterbury to give back to the Bermudian community was a rewarding experience to say the least. I believe that any student possessing an interest in law would greatly benefit from working at Canterbury. I am very grateful for being given the opportunity to work for and learn so much from an amazing firm. 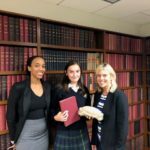 This experience helped to solidify my interest in pursuing a career in law. I would like to thank Canterbury Law Ltd. for allowing me to spend time observing the work at your company for my Work Experience. I found my experience at Canterbury to be very eye-opening and it was a very helpful experience to show me the life of a lawyer. I value the opportunity I was given to gain an insight into the work that Canterbury does. I especially enjoyed going to court and witnessing all of the cases. It was very interesting to see the different courts and understand the procedures they employ there. During my experience, I learned that it takes a lot of responsibility and organization to be a lawyer. Even though prior to this I was already aware that I wanted to study law and become a lawyer one day, I didn’t realize how much it would really take. Now that I am aware of that, I am sure that law is what I’d like to do after I graduate from Warwick Academy. I now have a better understanding of what to expect when in a working environment and more knowledge about the job of a lawyer. Thank you to Canterbury Law for that. A Canadian-born Bermudian, Julica (Jules) Harvey was educated at West Pembroke and Saltus Grammar School until grade 12 when she moved to Canada, enrolling in Heart Lake Secondary School in Brampton, Ontario. Upon her graduation, she obtained her BA in Sociology specializing in Criminal Deviance at the University of Western Ontario. She then studied law at The University of law (The College of Law) in the UK earning an LLB, LPC and M.A. She is very excited to join the Canterbury Law team as a Pupil to complete her formal year of pupillage, assisting the Firm’s Directors in the field of civil litigation. I am grateful to Ms. Snelling and Mr. Harshaw for inviting me to join Canterbury Law Limited, first for a summer placement and subsequently as an Associate after supporting my call to the Bermuda Bar in September 2017. Working at Canterbury Law has been an excellent opportunity for me. I have learned and developed skills in the areas of labour and employment law and civil litigation. Ms. Snelling and Mr. Harshaw gave me the opportunity to attend client meetings and telephone calls, draft correspondence and pleadings, and attend Magistrates’ Court. Prior to returning home to live and work in Bermuda in 2017, I had been a practicing attorney in the United States for over 3 years. 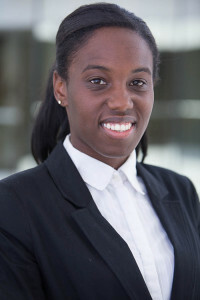 Working at Canterbury Law exposed me to the everyday workings of the legal practice in Bermuda and enabled me to learn the differences in the legal practice between Bermuda and the United States. I am also grateful for the steadfast support of the administrative team during my time at Canterbury Law. I am positive that my experience at Canterbury Law will be one from which I continue to learn and grow in my professional career as an attorney in Bermuda. I joined the Canterbury family in March 2017 as a Paralegal, having recently moved to Bermuda from London where I had been working in a commercial litigation firm. I immediately felt part of the team and was thankful for the warm welcome and kindness I received from the outset. Canterbury Law is full of hard-working, caring individuals who make the working day an enjoyable and rewarding experience. I hit the ground running and was immediately involved in numerous employment and civil litigation matters. Having not had much exposure previously to employment law, Ms. Snelling always took the time to explain the legal principles to me and during my time at Canterbury Law I have built up a solid foundation in employment law and had exposure to a wide range of employment cases. Assisting Mr. Harshaw gave me an excellent insight into the world of Bermuda litigation and exposed me to new issues in civil litigation. Mr. Harshaw’s pragmatic and commercial approach to cases allowed me to build upon my previous commercial experience and gain a fundamental understanding of the Bermuda court process. My experience at Canterbury Law was not limited to the legal field. I was also able to see first-hand the charity work the firm involves itself in by giving many hours to organizing and hosting the monthly Grateful Bread thanksgiving feeding program. This is testament to the ethos of the firm in giving back to the local community. I am very grateful to Ms. Snelling and Mr. Harshaw for the opportunity they have given me. I have learnt a great deal while at Canterbury and have made friends that I will take with me. 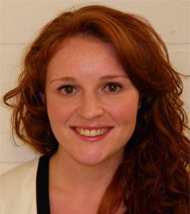 Sophie Lee was admitted to the roll of solicitors in England and Wales in March 2016. She worked at Canterbury Law as a Paralegal. She is a graduate of Cardiff University (2010) and the College of Law in Bristol with a Distinction in the Legal Practice Course (2011). The prospect of a summer work experience at a law firm at first seemed daunting. My first day came around and I was nervous because I had no idea what to expect from Canterbury Law. Immediately however I learnedthat there was no reason to be scared at all. The employees at Canterbury Law instantly accepted me into the office culture and made me feel right at home through engaging with me and taking time to learn about me, andby offering me lessons and insights from their own lives. I felt incredibly appreciated and supported during my time at Canterbury Law and by the end was sad for my work experience to be over. Canterbury Law strives to be the best at whatever task they are given. Here I felt a determination to excel that radiated from everyone and so, when I was given a task to complete, or when I was asked to accompany one of the lawyers to court to gain experience, I tried to approach my task with that same determination and with the utmost willingness to learn, study and improve. Many of the lessons with regards to research conducted in Canterbury I intend to take with me to use during the course of my studies, and it was here that the importance of proper preparation, thorough notes and the ability to express ideas clearly were reinforced. I gained an appreciation for the attention to detail and the professionalism that is so inherent in all those employed here and thank them all for this wonderful experience. The virtue that I believe stands out most in Canterbury Law is kindness. There is kindness in the way that the employees interact and assist one another, there is kindness in the way that they interact with clients, and there is a spirit of kindness with which they are able to conduct their work which is felt by all those who interact with them. This in my opinion serves as a perfect example of a law firm intent on benefitting the world, starting by creating a sense of unity within the office. Canterbury Law is truly a family firm and I was thankful to be part of the family. Having the opportunity to work at Canterbury would be an ideal experience for any law student. I found it to be an excellent workplace environment which provided me with exposure to the practice of law combined with lots of practical hands-on experience. From the moment I walked in on my first day, the team made me feel welcome and I felt that they also genuinely wanted to ensure that I had an enriching and fulfilling time at Canterbury. I greatly appreciated that Juliana and Paul individually took the time to update me on their respective projects which was very beneficial and helped me better understand the demands and challenges that lawyers are presented with on a daily basis. I am very grateful for the variety of projects that I was able to work on and be involved in. Being in a smaller firm I was also able to develop an understanding of the business sides of a law firm such as operations and accounting, aspects of the business that are not so evident when working in a larger firm. My tasks and assignments were very interesting and varied, covering a broad scope of tasks including conducting research for a personal injury case involving multiple serious injuries, defending a potential wrongful dismissal claim involving an employee who was summarily dismissed for sexually harassing a co-worker, and an immigration application for Bermuda status by a widow of a Bermudian. Furthermore, I drafted documents including a witness statement and a request for further and better particulars in a property dispute. I also attended client meetings concerning a variety of employment matters, Magistrates’ and Supreme Court hearings, and even a Continuing Legal Education session hosted by the Bermuda Bar Council. Since the bulk of my work was related to current firm matters, I felt that I was able to contribute to the Canterbury Team. I am very grateful to have been chosen to work at Canterbury this summer. I had a wonderful experience and I would highly recommend Canterbury to any law student looking for an exciting and enriching summer law job. Dr. Christina Storey comes to the Law mid-way through life. 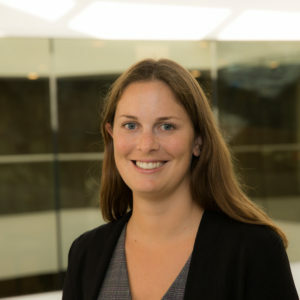 After a career in academia and various entrepreneurial activities, mostly involving watersports or math, Dr. Storey completed her LLB with the University of London’s International Programme (online) in 2016. Christina is a Bermudian, and a lifelong Somerset resident (and fan). She spent six years at Millfield School in the UK, where she sat her O-levels. She then transferred to Philips Exeter Academy in New Hampshire from which she graduated with high honours. Following a year of art school in Florence Italy (where she discovered a talent for colour, a lack of talent in drawing and started to become fluent in Italian) she went on to completeher undergraduate degree at Harvard. Starting off as a biochemist, she changed course and graduated with highest honours with an interdisciplinary degree in Renaissance Studies. She then completed a doctorate in 18th-century British History at Oxford University, where she was a Rhodes Scholar and member of Corpus Christi College. Christina has always loved the water and she sails, rows and dives. She also enjoys the frozen watersports of skiing, sledding and skating. 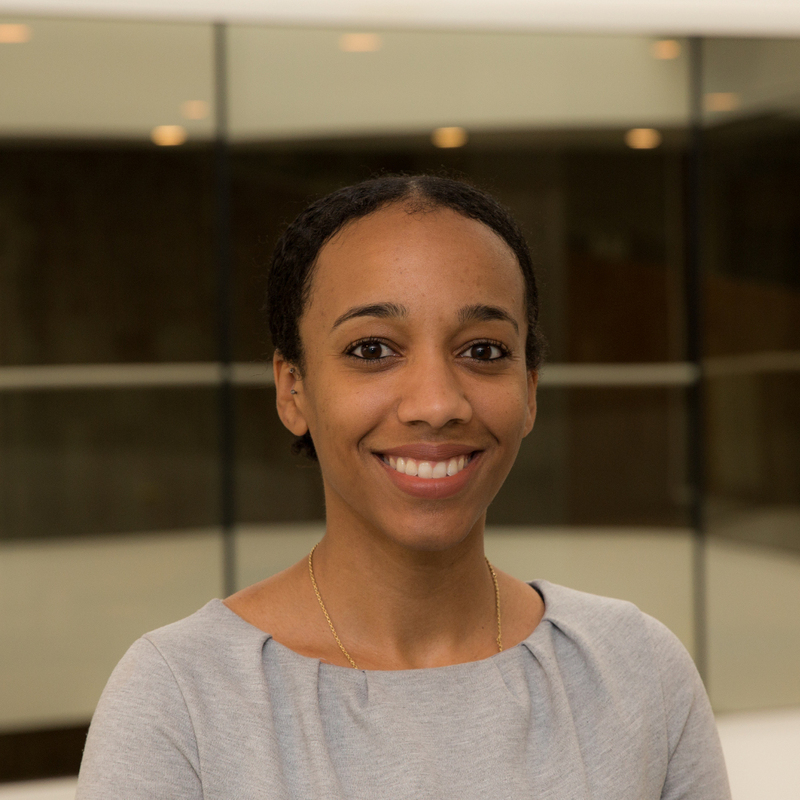 Christina is particularly fascinated by the various facets of contract law and has a deep interest in Human Rights law in all its applications. 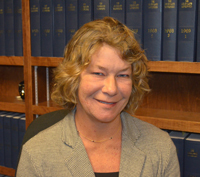 In addition she is keen to learn more about inter-jurisdictional processes, and in the interaction between UK and EU law. The opportunity to do my pupillage with Canterbury Law Limited (2012-2013)was a motivating and enriching experience for me. Coming out of law school, having read for years, there was that uncertainty of what the practical experience would entail. My pupillage turned out to be everything that I had studied for and anticipated. From the first day I walked in to the office my experience began. From client meetings, to the Magistrates’ Courts, Supreme Court and Tribunal Hearings, Mrs. Snelling and Mr. Harshaw continuously exposed me to the legal atmosphere of Bermuda without holding back. No two days were the same, and every day I looked forward to coming to work. If you want to know the value of 6 minutes of your time, training as a pupil at Canterbury Law is definitely the way to learn it. Learning about employment matters, contentious company matters, civil dispute matters and more, it was like a breath of fresh air to see everything I studied for taking place in a practical sense in front of me. Drafting pleadings, interviewing clients, researching case law and precedents, and observing and being a part of how the business of a law firm operates, ensured that my pupillage was a very fulfilling experience. Involvement in the Bermuda community was also part of my pupillage, from observing public speaking, to career day talks to high school students. I was subsequently called to the Bermuda Bar in December 2013 and practiced as an Attorney with Canterbury Law for two years thereafter. I appreciate Ms. Snelling and Mr. Harshaw seeing value in me and providing me with the opportunity to have worked with the firm as an Attorney after completing my pupilage. 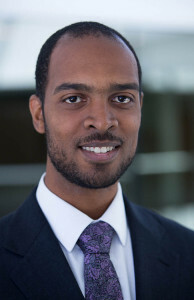 My experience with the firm was a very rewarding one, and is an experience from which I continue to learn and grow in my professional career as a barrister and attorney in Bermuda. I was delighted to be given the opportunity to gain a month of practical legal work experience at Canterbury Law Limited in July of 2015. The Canterburyteam was extremely welcoming and made me feel at home from the moment I walked through the door. On my first day I visited both the Magistrates’ and Supreme Courts, where I gained first hand experience of the court process. Throughout the month I attended court on many occasions, as well as attending an anti money-laundering seminar, and many client meetings. Watching Ms. Snelling and Mr. Harshaw interact with clients and argue cases in court was a valuable learning experience that will help me for the rest of my legal profession. While at Canterbury Law, I was exposed to several employment law cases. I also spent much of my time working on a complex personal injury case. These are both areas in which my interests lie. It was the first time outside of studying that I had dealt with these areas of law, so I found it very beneficial to gain some practical training outside of the classroom. 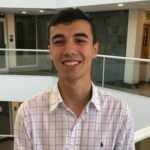 Working at Canterbury Law was a very positive experience for me, and confirmed that I want to pursue both employment and personal injury law further. This placement was unlike any other work placement I have done. I was given interesting work to do beyond merely filing and sitting at a desk. My duties included researching, drafting Orders, a Bill of Costs and a Schedule of Special Damages, attending court and meeting with clients. The whole experience was an invaluable one, which will aid me for the rest of my career. 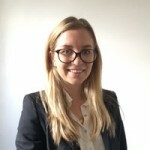 Elizabeth Watson has an LLB Degree from the University of Sussex, and is a graduate with distinction of the LPC programme at BPP Law School, Holborn, England. My tenure with Canterbury Law Limited has been one of my most valued mini-pupillages to date. When placing my experience into two words I choose pragmatic and insightful! I couldn’t compare this experience to any other. Most mini-pupillages tend to only seek law students to carry out administrative tasks. This is not the objective of Canterbury at all. On the first day I was placed under director Juliana Snelling. I was given a diary with tasks which were to be completed for that day. The first task I was given was to aid in the amending of an Employee Handbook. Whilst doing these tasks I was able to see how vulnerable the employee is and the rights which they are entitled to while employed. My experience at Canterbury was not just limited to employment law. I was able to view a wide range of civil matters and I had the chance to conduct appropriate research. I had the opportunity to accompany Mr Harshaw to Supreme Court Registry where we were able to sit in Chambers with the Assistant Registrar, where Mr Harshaw successfully was awarded judgment. I was also given the opportunity to draft an opinion on a personal injury matter. Whilst at Canterbury I was exposed to interim Court applicationswhich was interesting to me as I had very little court room experience and as I had not begun the Legal Practice Course as of yet so this was foreign territory for myself. I would like to thank Ms. Juliana Snelling and Mr. Paul Harshaw for this great experience. For an enquiring mind like myself, this progressive firm has the catalyst and expertise for a stimulating legal career. I was thrilled to be offered the opportunity to gain work experience at Canterbury Law Limited, and thoroughly enjoyed my time with the Firm. It proved to be a crucial part of my professional development. I feel very fortunate to have been given the opportunity by Ms. Snelling and Mr. Harshaw, who have vast experience and a wealth of expertise from which I can learn. My enthusiasm and willingness to adopt an attitude of learning helped me to develop my skills as a young advocate. My time reading law at the University of Kent and studying the Bar Professional Training Course at the University of Law (Bloomsbury) led to this opportunity and I worked hard to make the most of it. Canterbury Law has an atmosphere of determination and a commitment to excellence which was important for me to experience, because it is the quality of work the firm does for its clients that leaves a lasting impression. From the Magistrates’ Courts, to the Supreme Court and Tribunals, I have had the chance to learn just how much proper preparation prevents poor performance. The work at Canterbury Law is engaging and fulfilling, and the opportunity to train under such experienced practitioners is one I am grateful to have had. As a young Bermudian I feel honoured to have contributed and learned from this legal fraternity. The practical experience I gained was enriching, from initial meetings with clients, through pleadings, to Court hearings and enforcement. Learning the details of employment matters, commercial disputes and human rights cases among others was an illuminating experience as I learned the practicalities of drafting letters and pleadings, and the nuances of negotiation first hand. Having also studied film at Brock University before beginning my law career, I can appreciate the need to build a clear picture of your client’s case in order to appropriately advise them and achieve their desired outcome. I feel fortunate to have been given such a valuable opportunity to work under such experienced and astute members of the Bermuda Bar. Before walking into Canterbury Law, I was anxious and nervous much like the beginning of any new experience. 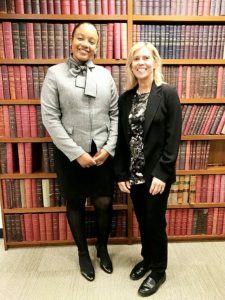 However, the team was so welcoming and there was no time lost as after a quick introduction to the staff, I sat down with barrister and co-director Ms. Juliana Snelling and received a summary of her open matters. I quickly learned the importance and diligence that is required by a lawyer to keep the client informed and maintain contact so the client/lawyer relationship is not let down. After only 30 minutes in the office, I had already learned two valuable lessons and I knew was going to be in for an exciting week of work experience, not merely sat at a desk left to do work, but an interactive experience that would teach me a lifetime of lessons. I was lucky to be in the office when there were several court appearances on different matters and both Ms. Juliana Snelling and Mr. Paul Harshaw allowed me to accompany them to court. I learned more lessons about preparation for court, appearances in court, and getting a first-hand look at what wouldbe expected of me as a practicing lawyer. Again, I saw first-hand how diligent a lawyer must be with their client; particularly taking instructions from them, advising them on what you will be advocating for on their behalf, and then after court informing them of exactly what was awarded. It was important to be reminded that you are advocating for the client, and it is essential to achieve their goals as best you can. I continued to be exposed to several matters during my time at the Firm, and was introduced to employment law which was a new avenue for me, which I had neverstudied. Ms. Snelling has the niche market as an employment lawyer, and I was fortunate enough for a contentious matter to arise, and to be able to sit in on client meetings and telephone conferences. As the matter erupted on the Monday, I was able to work all week and see how Ms. Snelling received the client’s initial contact, researched the issues, reverted back to the client at each stage, informed the clients on costs, and the administration of maintaininga client file which is an essential part of running a firm. The legal experience at the Firm was very interesting, the exposure to all sorts of areas of law, and also insight on how to run a successful business was an experience I am wholly grateful for. Canterbury Law may be a boutique law firm, but definitely does not lack power or tenacity, which was something I was extremely excited to be a part of. Working with Ms. Snelling on an employment matter opened my interests to employment law, which is something I now find quite interesting. Whilst law school is an essential foundation in your platform to becoming a lawyer, being immersed in law as a business and in practice is an invaluable experience that reaches beyond the textbook. I will forever remember my time at Canterbury Law and I would highly recommend the Firm as a place for student interns to learn, particularly those interested in Employment Law and litigation as a whole. Melanie Fullerton completed her LLM (master of laws) at BPP Law School in Manchester, England. She is a graduate of the BPP Law School in Manchester (Graduate Diploma in Law 2012) and completed the LegalPractice Course at BPP Law School in Manchester, qualifying her to become a Solicitor of the Senior Courts of England and Wales. She is now practicing as an attorney in Bermuda. I am grateful to Ms. Juliana Snelling and Mr. Paul Harshaw for accepting me into their team for a mini-pupillage at Canterbury Law Limited wherein I gained invaluable insight not only into employment law and litigation, but the operations of a boutique law firm in Bermuda. From the outset the mini-pupillage was exciting and intense as I hit the ground running. From aiding in the preparation of trial bundles to attending hearings at the Magistrate’s Court and Board of Inquiry in a human rights matter, there was never a dull moment. Each day the Canterbury Law team provided a positive and energetic learning environment. I received constructive feedback and advice on the drafting of pleadings and preparation of witness statements, to opportunities on observing discussions of case strategies between the Directors and clients. The experience was not limited to the interiors of the firm or courtrooms. It branched out into aiding the community through Free Legal Advice night, in which I observed Ms. Snelling provide helpful advice and information on a variety of areas in brief pockets of time at the Center on Angle Street. The mini-pupillage was a fulfilling experience that was immensely beneficial to my continued legal development that I whole-heartedly recommend to pupils or aspiring lawyers to invest in. Monika Adams was called to the Bermuda Bar on November 30th, 2012. She is a graduate of Georgetown University (MSc 2003), the University of Virginia (B.A. 1998) and the BPP Law School in London with a Graduate Diploma in Law (2010). As a Bermudian law student, I am fortunate enough to have completed a range of internships during my summer vacation periods. It is through these that I developed and affirmed my interest in litigation, so Canterbury Law Limited was an obvious choice for summer employment given the Firm’s dedication to this practice area. My experience at Canterbury left me with a great sense of satisfaction having experienced a considerable amount of law and having thoroughly enjoyed working here. Not knowing what to expect on my first day, I was delighted to walk in and be given a summary of Canterbury’s open matters by barrister and co-director Ms. Juliana Snelling. From this moment I knew that my experience would be a good one because it became apparent that I would not be merely seated into a cubicle in order to do the work that nobody else wants to do. Instead, I was treated as a member of the Firm who would be expected to complete meaningful tasks and be held accountable for my own work. Of course, an inherent quality of being a student is inexperience, so it is crucial to have good leaders to ask questions of. I found both Ms. Snelling and co-director Mr. Paul Harshaw to not only be extremely knowledgeable in their fields, but very approachable as well. This greatly added to the enjoyment of my experience at Canterbury. I was exposed to various matters during my time at the Firm, which ranged from civil to commercial litigation. Even though Ms. Snelling and Mr. Harshaw have very active employment and insolvency practices respectively, they cover much more than that. On any given day I found myself working on employment matters, public (constitutional) issues, contentious property issues, and high-level company disputes. This included observing Ms. Snelling and Mr. Harshaw giving preliminary advice, personally conducting research on points of law, and, of course, attending court on contentious matters. Outside of being interesting, this exposure was beneficial because it assisted in my search for the elusive area of future specialization. After all, this is one of the main reasons for being a legal intern! Learning the law from a textbook provides an important foundation, but it is not without its limits. The only way to actually learn how to be a lawyer is to work under other experienced ones because law involves much more than reiterating written rules. Through my work at Canterbury I not only became more familiar with how to be a lawyer, but I enjoyed myself in the process. I would highly recommend an internship at this Firm to anyone seriously interested in litigation. 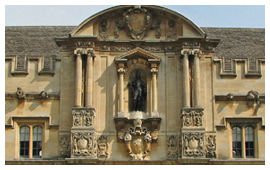 Roger Moniz completed the Bar Professional Training Course at The City Law School of London (formerly the Inns of Court School of Law), and is a member of The Honourable Society of the Inner Temple.Roger also hasa BA from Saint Mary’s University (2010), Graduate Diploma in Laws from City University London (2012), and a Postgraduate Diploma from City University (formerly Inns of Court) (2013).